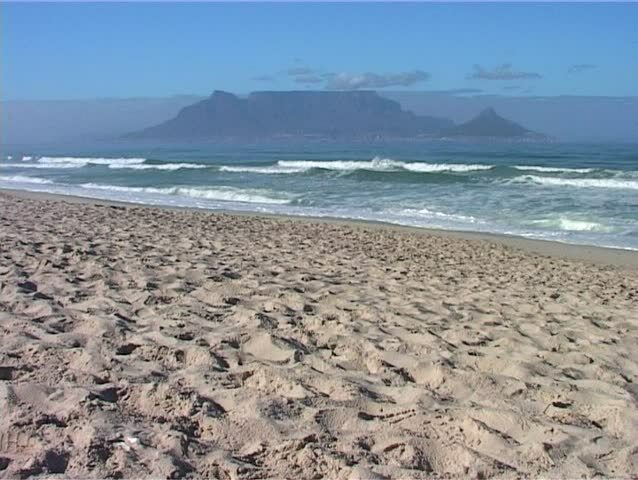 Zoom out from Table Mountain to reveal the classic view of Cape Town from Bloubergstrand (Blue Mountain Beach). hd00:26Camera zoom out from waves crashing as model released man walks down ocean jetty on blue sky day in Oregon. hd00:11walking along the beach of Ahrenshoop with its dunes and reed houses (Germany).